a. Ven. Khenpo Sonam Gyurme Tamang was born in Tamang Buddhist Community in a medle class family. Being a member of Tamang community, which is the largest Buddhist community in Nepal, he took a novice ordination (Shramanera Shila) of a monk in Lokeswara Dhyanagar Monastery at Mhepee, Kathmandu, Nepal from the most popular master H.E. Late Dinchhen Rinpoche at the age of 9 when he completed Class Four in local school. b. Under the supervision of Late H.E. Dinchhen Rinpoche, popularly known as a 'Video Lama'--who had power of showing past events and any circumstances on palms of hands, Khenpo received intermediate level Buddhist education in general from him. Along with learning general Sutras and Tantras, Ven. Khenpo was also trained in ordinary and extra ordinary practices of Mahayana and Vajrayana Buddhism. 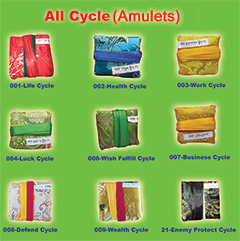 c. Buddhist healing arts such as designing Treasure Vases, more than hundred types of protecting Lockets-Srungwas etc. and practices of physical and psychological healing (treatment) system as well as various ritual practices have also been practiced by the Khenpo in the very auspicious environment under Late H.E. Rinpoche himself. d. In his Monastic school life from 1992 to till date i.e. 2014, he also received various initiations, oral transmissions and teachings of Nyingma schools of Tibetan Buddhism such as Dujyom and Chogling Tersar, Jhachon Pwedrug, Longchen Nyingtik, Namtsyo etc. from H.E. Dinchhen Rinpoche, H.H.Penor Rinpoche, H.E. Chogling Rinpoche and especially from his Root Master H.E. 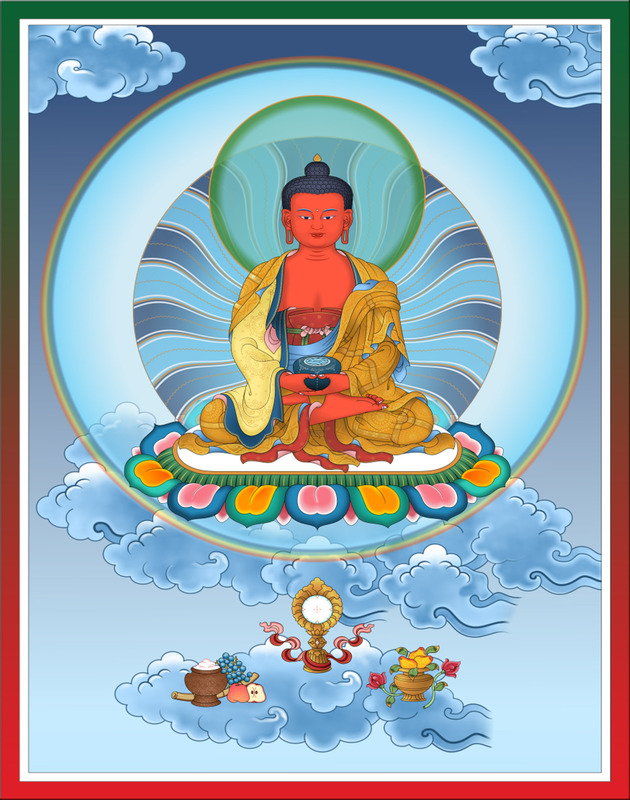 Kyabje Rigzin Dorje Rinpoche. He also received Kalachakra initiation of Gelugpa school of Tibetan Buddhism from H.H. 14th Dalai Lama at Salugara, West Bengal in 1997 and at Ladakh in 2014.
e. From 1998 to 2007, he received Higher Secondary, Bachelor and Masters' degree with the best results from Taktse Nyinma Institute of Gangtok, Sikkim, India, where he completely studied and researched almost all the subjects ranging from basic Sutras teachings to highest Tantric teachings of Dzogchen and commentaries of Tri-Pitaka as major subjects under the guidance of Glorious Root Master H.E. Regzin Dorji Rinpoche. f. With his outstanding teaching techniques, research paper on 'Nine Vehicles of Buddhism', personal qualities with the abilities of presentation in many languages as well as grace of H.E. Rigzin Dorje Rinpoche, he was conferred the title of Khenpo (PhD.) and bequeath the honorary hat on 18/10/2013. Since then, he has been holding the highest post of professor of Indo-Tibetan Buddhist Studies and practice. a. Since 2002, Ven. 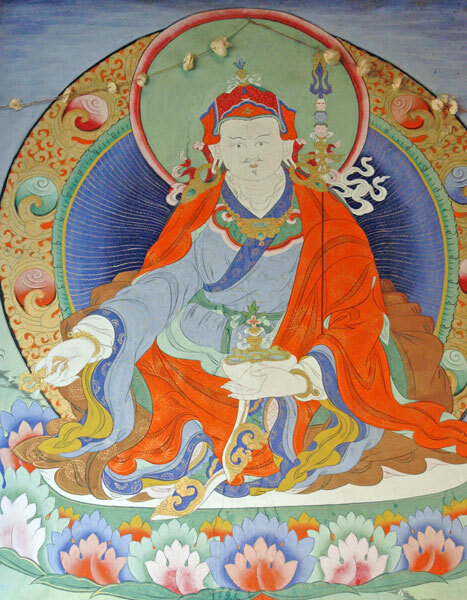 Khenpo Sonam served the people, especially Nepalese society with Buddhist studies and practices. He taught Buddhist Philosophy, meditation, language and grammar at Dinchen Tashi Chheling Monastic School related with Lokeswara Dhyanagar Monastery at Mhepee, Kathmandu in the same year. He was appointed as a teacher at higher secondary level to instruct the Avidharama Kosha- a vast philosophy of Buddhism at Taktse Nyingma Institute, Sikkim in 2006. Khenpo had also served Taktse Nunnery Monastic school of Gangtok, as a head instructor of school in 2007.
b. He moved to Kathmandu in 2008 and established Buddhist Teaching & Meditation Centre (BTMC)- a free school of Buddhist studies and practices from Mhepee Monastery. c. In addition, he also trained Nepalese married Tantric Monks of Nepal about tantric Buddhism along with language and Buddhist Astrology studies in 2010. In the same year, he was offered the post of Director at 'Bodhi Srawan Dharma Sangha' Ratanpur, Bara District, Nepal- an organization of popular meditator monk 'Ram Bahadur Bomzan' of Nepal who is called 'Buddha Boy', a given name by Discovery TV Channel. Where Khenpo collected Buddha boy's teachings and translated three books. d. During his one year project of collecting, writing and translating Buddha Boy's teaching, he successfully demonstrated his abilities of writing, translation and also a presentation skill. On his working period, he also sent the messages of Buddha Boy all over the world and tried to bind all people of different cast, communities, sexes and groups into one sutra of love and kind. e. In the year of 2011 after returning back from Ratanpur, Bara, Ven. Khenpo ran various classes of Buddhism at BTMC, other schools and training centers, where he trained more than 350 teachers of different schools of Nepal Government in various districts of the Nation. f. In 2013/ 2014, Khenpo joined the college as a lecturer and successfully completed an instruction of one academic year in Lumbini College affiliated with Lumbini Buddhist Univercity of Govt. of Nepal. 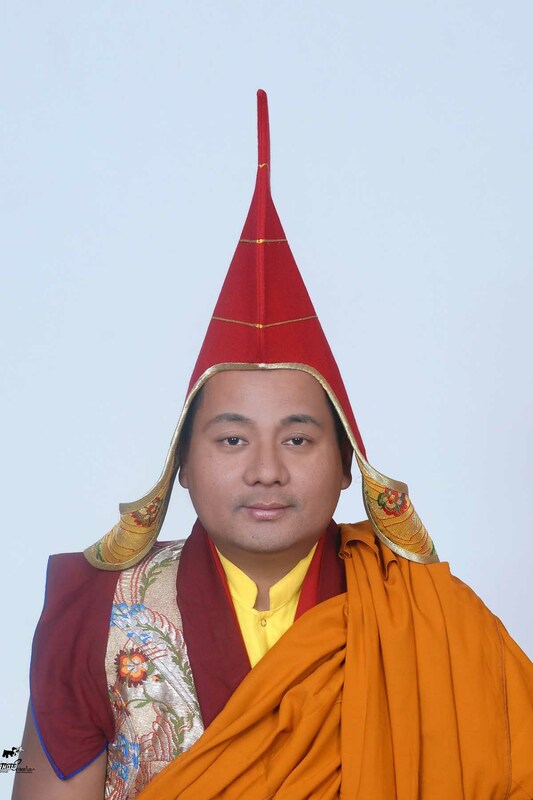 Venerable Khenpo Sonam Gyurme is now growing his popularity around Asian countries as young spiritual leader having education and experience of Buddhist Philosophy, meditation and modern education. He is well known for his language skill where he fluently speaks 5 languages including English. Thus he is being more famous among his students, disciples and the society. In addition, Ven. Khenpo is also well known not only for his skillful teaching, translation and interpretations but also in his spiritual leadership. He has long experience to deal with different background people and train them with easy method of dharma teachings and practices. Especially, he also has long experiences in taking people to pilgrimage tour where Ven. Khenpo practically teaches and inspires pilgrims, practitioners and devotees and brings positive changes in their daily life. His main objective is to bring peace and happiness in individual's life and educate people of all caste, gender, class and society with compassion and loving kindness and making nation and world peaceful, happy and harmonious. 3. Multi- Media (Audio- Video) Designing - Arena Multi-Media. 3. Jampei Chochyo and also few books of oaths etc. in 2010. He truly possesses the inbuilt qualities of selflessly shouldering the responsibilities to uphold the sacred teachings through the three means of study, practice and activity. 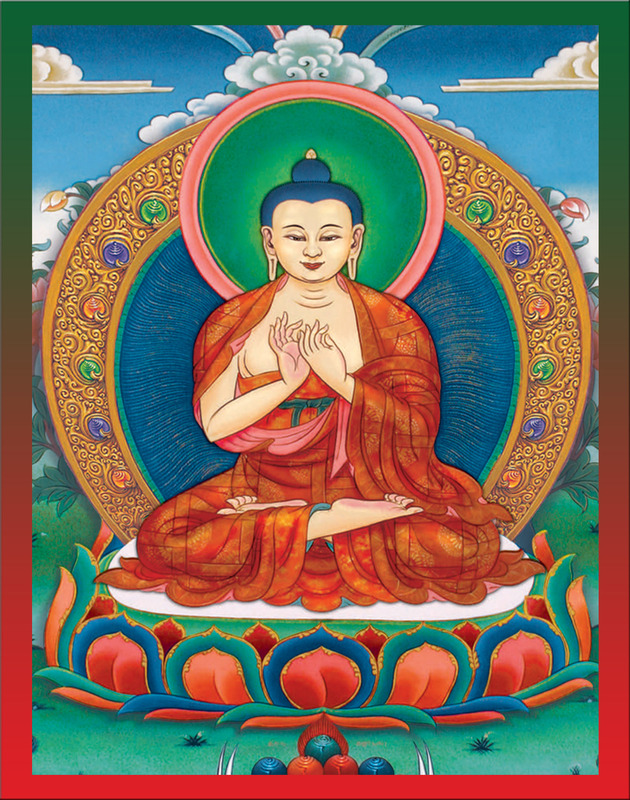 So without doubt, he can contribute greatly for the preservation and developments of Buddhism and society.